Munich - His summer move from Borussia Dortmund was pre-announced as the 2012/13 season was still heading down the final straight, but it could be argued that it was only in mid-October that truly arrived at FC Bayern München. Or, to be even more precise, in the second half of FC Bayern's encounter with 1. FSV Mainz 05 at the Allianz Arena last Saturday. Trailing 1-0 on home turf to mid-table opponents who had gone into the game as overwhelming underdogs, head coach Pep Guardiola opted for a half-time reshuffle. Götze came on in place of Rafinha, with Philipp Lahm reverting to his 'normal' right back role and Bastian Schweinsteiger in turn dropping deeper to fill the holding midfield berth. Within minutes, the strategy was paying dividends as Götze opened up the visitors' defence with a throughball to Arjen Robben, who dispatched with aplomb to get Bayern back on terms. Two minutes later, the hypercharged substitute was involved in the move that ended with Thomas Müller firing the hosts in front, to turn the contest on its head in double-quick time. He was not done yet, either, laying number three on a plate for Mario Mandzukic in the 69th minute to seal the result, before Müller rounded things off from the spot. 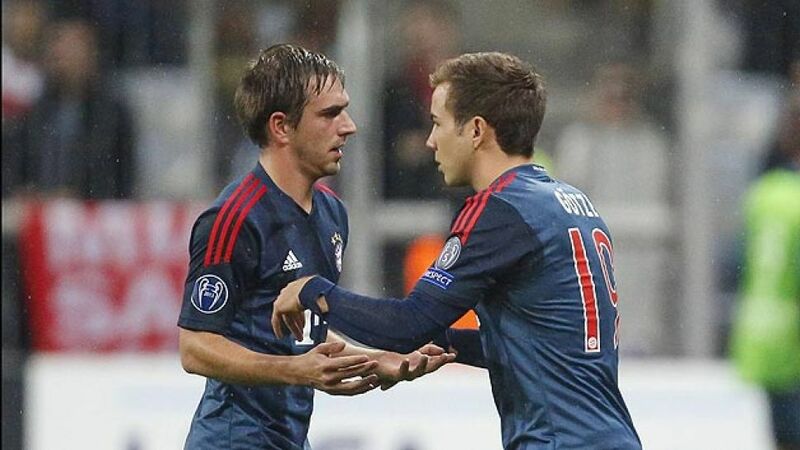 "Obviously I'm very satisfied," Götze told the FC Bayern club website after the match. "We were in a tricky situation. Mainz had barely given us a sniff of goal and then we went behind as well. After the break, we did a much better job of carving out openings and we pressured them far more effectively." That was down in good part to the performance of the 21-year-old, who originally hails from Memmingen, a town 70 miles west of Munich. Götze's first months in the Bavarian capital have been hampered by injury and an extended rehabilitation process: having finally got over the thigh muscle injury that kept him out of a UEFA Champions League final showdown for Dortmund against his future employers, he was promptly sidelined again for several weeks after twisting an ankle following a challenge by Chelsea FC's Ramires in Bayern's UEFA Super Cup victory over the London outfit in Prague at the end of August. All of which had restricted him to five, mostly truncated, competitive outings for the German and European champions, none of which produced any direct involvement in a goal, before the dam burst against Mainz. His first goal in a Bayern shirt followed against Viktoria Plzen on Wednesday, and the floodgates can now open. "I wanted to show what I could do as soon as I got here, to help win games and score goals. But it wasn't possible and that was difficult," he said. Nonetheless, he added, "I think I came through that phase the stronger for it. I learned a lot about myself. Now, I just want to play football and stay fit and healthy." As far as that goes, the player widely regarded as the most gifted of a golden German generation is open to all offers within Guardiola's strategic framework. "It doesn't really matter to me what position I play in," he stressed. "I can go wide in midfield, take up a central playmaking role, or operate further forward down the middle. Fortunately, I'm pretty flexible in that regard." All of which can only be good news for Götze, Guardiola and FC Bayern in like measure. He scored his first goal for Bayern in midweek, but here are five of the best Götze goals on the official Bundesliga YouTube channel.